Miss Siska is in Sydney where her trainer Grahame Begg hopes she can gain a start in a G1 race. Hay List’s younger half-sister Miss Siska has been taken to Sydney from Victoria in the hope she can make the field for the Group One Coolmore Legacy Stakes at Randwick. Runner-up in the Group Two Matriarch Stakes (2000m) for mares at Flemington at the end of her spring campaign when trained by Tony McEvoy, five-year-old Miss Siska won the Gold Bracelet (1400m) at Bendigo first-up on March 30 at her first start for new trainer Grahame Begg. Begg said the mare had travelled well and settled in well in Sydney ahead of a planned crack at Saturday’s Group One Coolmore Legacy Stakes (1600m) for fillies and mares. “We are hopeful to get a run,” Begg said. “That will be the thing, whether she gets a start or not. “But she bounced through her run first-up in really good order so we’re prepared to roll the dice. “I’ve only had her a short space of time. She’s a nice progressive mare and I just feel that probably whatever she does as we stretch her out she is going to be better with a bit more distance. The Coolmore Legacy is a weight-for-age race for fillies and mares and Group One-winning three-year-old filly Nakeeta Jane was the $5 favourite on Monday ahead of last year’s winner Alizee at $6. With Jordan Childs staying in Melbourne on Saturday, Jamie Kah has been booked to ride Miss Siska, the winner of six of her 16 starts. Kah won on the Begg-trained Our Libretto at Caulfield on Saturday and that mare could also be Sydney-bound for her next start. 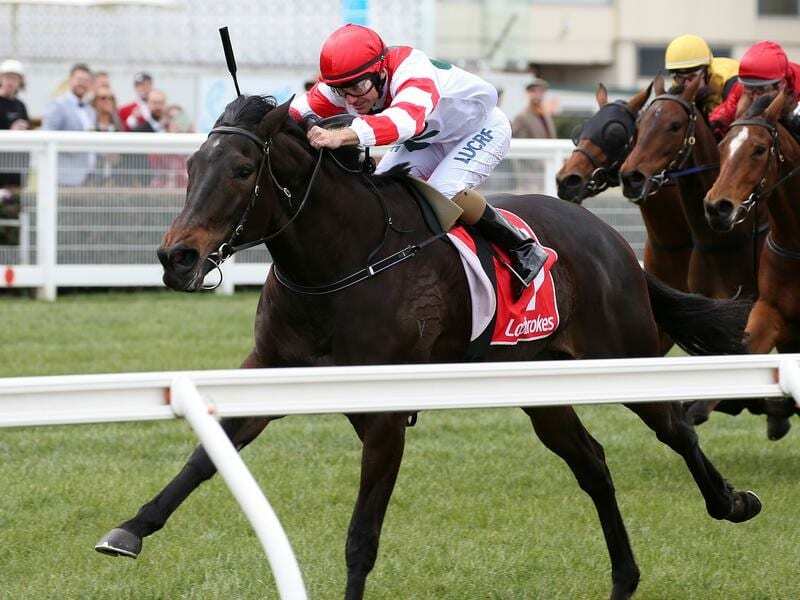 Begg plans to nominate Our Libretto for Saturday week’s Group Three Easter Cup (2000m) at Caulfield and the Group Three JRA Plate (2000m) at Randwick and says at this stage the Sydney race loomed as the most likely option. “I would think she would be very well suited at Randwick,” he said. Our Libretto had her first two starts in New Zealand while Saturday’s victory was her fifth from eight starts for Begg. She was also placed in the Group Two Sandown Classic at the end of spring.